LOS ANGELES, July 8, 2014 /PRNewswire/ — Following an April 2014 Nielsen survey that found Main Street approval of big banks like Wells Fargo and Bank of America has nearly doubled in the last two years, GOBankingRates, a leading personal finance website, investigated how big banks have positively impacted their local communities, economies and customers. Looking at the biggest bank in each state based on assets, the study surveyed each institution’s number of employees, corporate taxes paid and philanthropy, as well as accessibility, advanced technology and a wide range of financial services. GOBankingRates’ findings reveal that the biggest U.S. banks actually make substantial and measurable contributions to local communities, economies and beyond, proving that Main Street’s increasing approval of big banks is warranted. “The stigma of big banks is that they only support themselves. 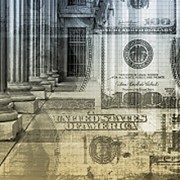 We found that’s just not true; big banks are not only sustaining the financial needs of their customers, they’re providing invaluable support to their regions – economically and socially – without which these states wouldn’t be able to function,” said Casey Bond, managing editor of GOBankingRates. The 51 banks surveyed employ 1.23 million people. Chase Bank alone employs 255,000. All banks surveyed invest significantly in charitable causes, with Wells Fargo donating $275.5 million to 18,500 nonprofit organizations and schools nationwide. Big banks boast unparalleled accessibility, with international branches and ATMs, extended hours, and cutting-edge banking technology. Wells Fargo, the biggest bank in California, remarked on its contributions to the Golden State. “We just celebrated our 162nd anniversary in this state, and with more than 49,000 team members who live here, and over 1,000 locations, we continue to work hard to make sure the customers and communities we serve are successful,” said Lisa Stevens, regional president for California. GOBankingRates.com (www.gobankingrates.com) is a personal finance and consumer banking website that connects consumers with the best credit unions, banks and interest rates nationwide, aggregating over 11 million rates from more than 6,000 institutions.